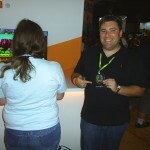 I used to be big on Retronauts, one of my favorite podcasts that I listened to at every release up until it’s host Jeremy Parish lost interest and eventually wound up as Editor in Chief of 1UP.com. Then writer Bob Mackey would pick the ball back up and relaunch the show as a live podcast to keep the show going despite the hardships that had hit 1UP in recent times. Admittably I don’t listen to it as often, change does become difficult to swallow sometimes, but every now and then comes an episode that strikes all the right chords of what I used to love on Retronauts: Silly non sequiturs overshadowed by rare facts and industry insight, along with uncovering childhood memories of yore, no matter how time-tested or scathing as they may have been. 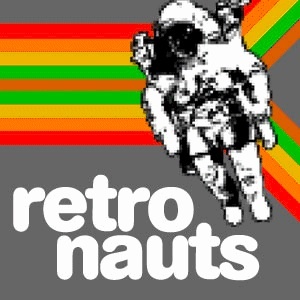 This particular episode rings true for sure as Retronauts Live, in it’s new iteration, has a bigger emphasis on the hosts talking directly to the developers and figure heads of the industry, with the most recent episode featuring Victor Ireland, co-founder of Working Designs, a company driven to bringing niche Japanese titles to western markets adapted for their tastes and boasting a high quality standard for the games as proudly as possible. 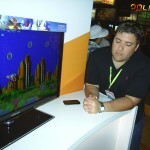 While the episode does cover topics regarding the Playstation, there’s still plenty of talk of Vic’s company dealing with Sega, including stories on Vay for Sega CD, the dire development on the last Sega Saturn game in the US, Magic Knight Rayearth, and extensive coverage on the Lunar series. 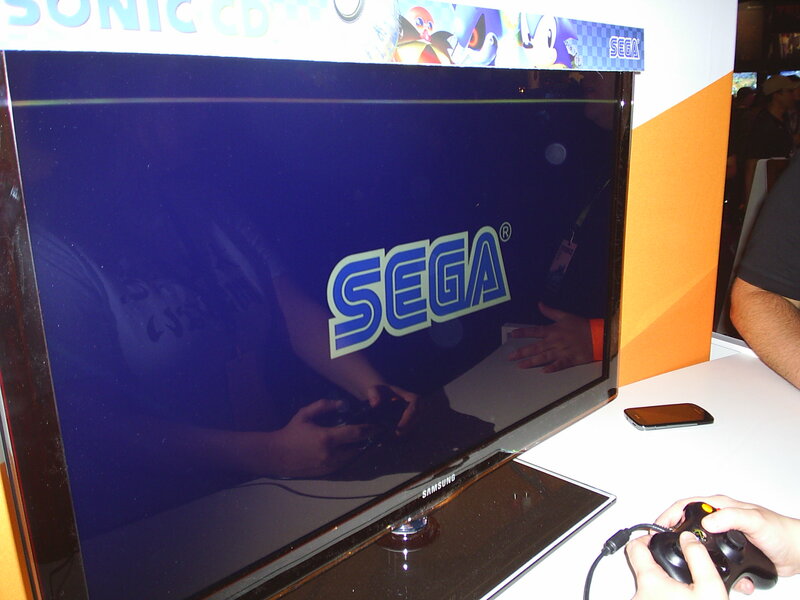 Not to mention Working Design’s position during the brief decision from Sega of America to transform Popful Mail for Sega CD into Sister Sonic. Yes! The Hedgehog! Imagine playing a Falcom game designed around an as-then unnamed female relative, (Not Sonia the Hedgehog,) of Sonic the Hedgehog. 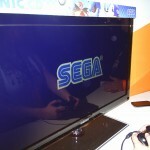 Sega’s latest classic title up for download services proves to be an important stepping stone for the company. 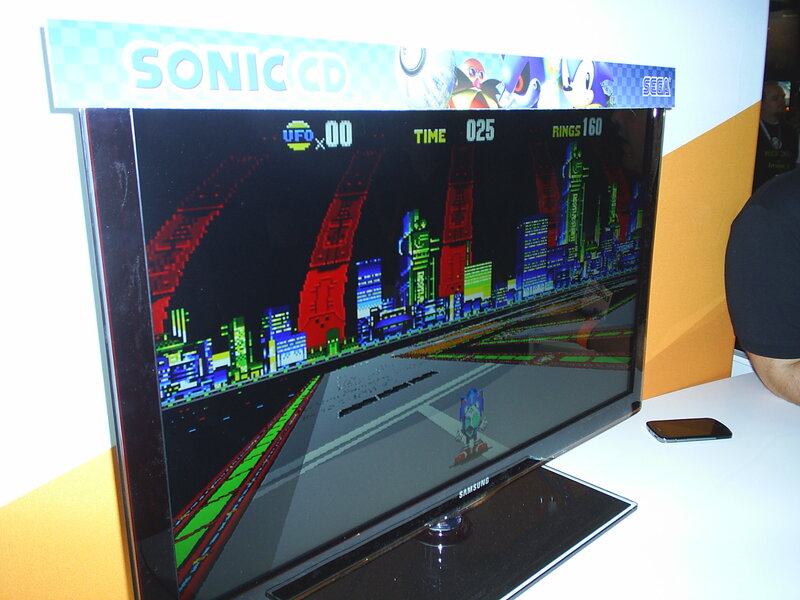 Not only is it a port of a rare Mega/Sega CD title, the collaboration behind the project showcases the 10+ year old game running with optimizations and slight changes that help solidify Sonic CD’s place among the previous games. Not since Street Fighter has a game seen this level of work, both for those who prefer games to stay as true to the original as possible as well as please those who are looking for optimizations to solidify the functionality between the Sonic games. What was shown off in the PAX demo was the entirety of Palmtree Panic, with two special stages that would be randomly chosen for each playthrough for the sake of the demonstration. Honorable mention goes to our good buddy Ken Balough who was also there at the Xbox Live Arcade booth to help fill in the gaps of what to expect. No doubt the most promising feature is the ability to change between two different spindash types for the game. 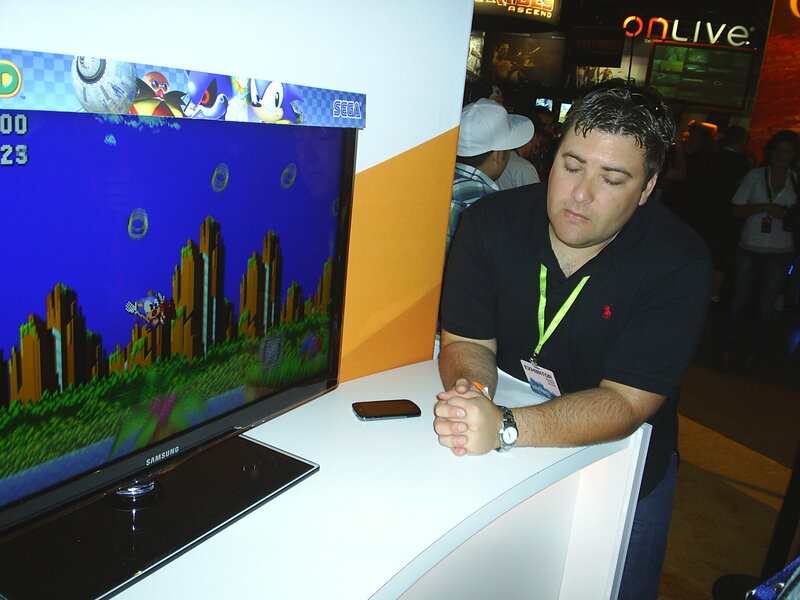 However, the demo available only allowed for players to utilize the Sonic 2 & 3 Spindash feature. 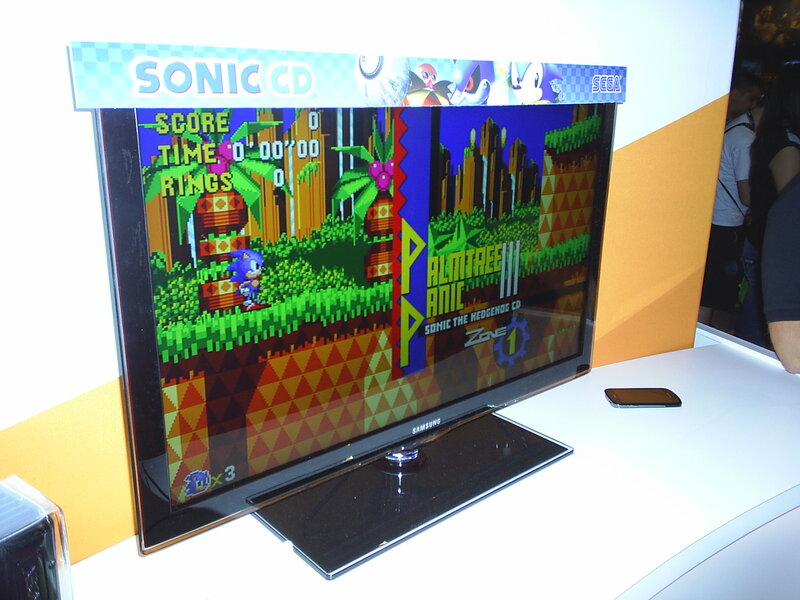 While the sound effects were still similar to the original version of the game, the spindash execution itself was much more streamlined compared to the original Sonic CD. You still have to charge up Sonic before he goes blasting off, but it is much easier to access places that would normally be more difficult to reach because of this optimization. Because of the new spindash feature, the screen does not pan in front of the player as it did in the original. 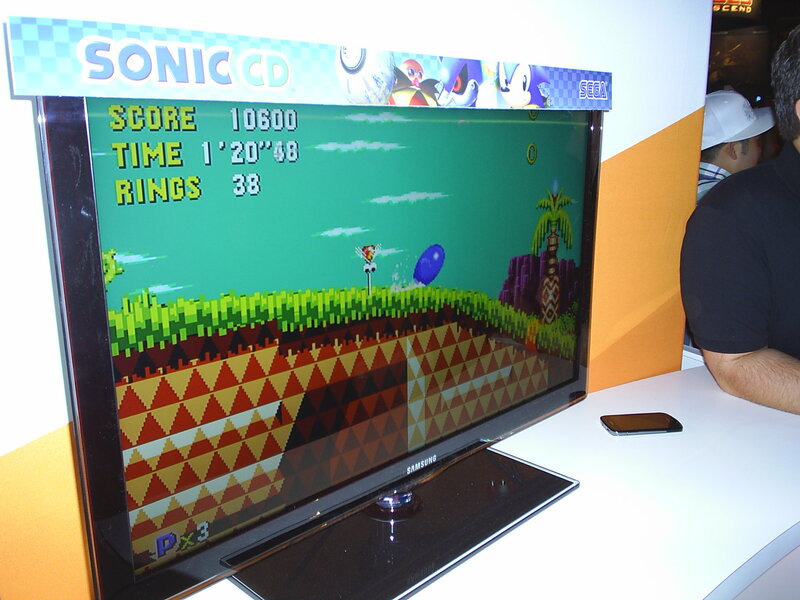 In the final game, the screen will pan if the legacy spindash feature is turned on. The gameplay otherwise feels exactly as it did in the original game. 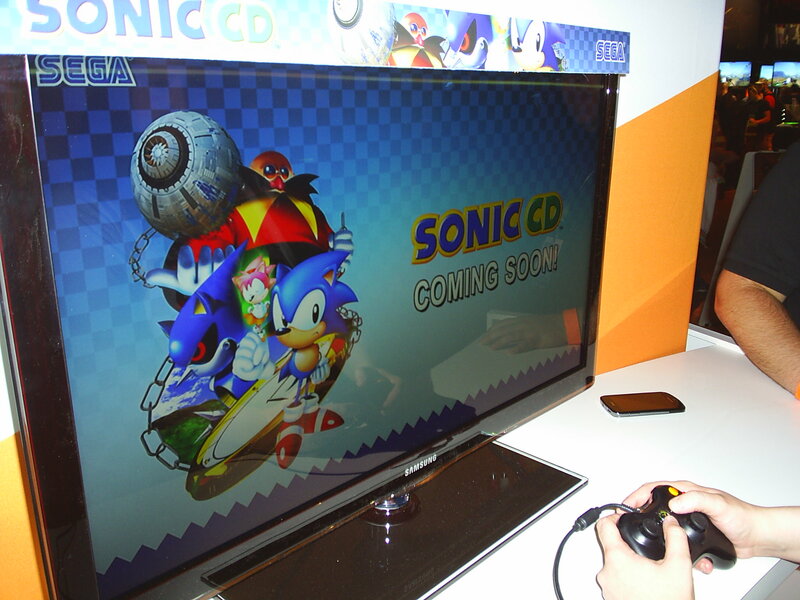 Load times are quicker for sure, enemies move as you expect, the stage gimmicks, such as Sonic going through the giant 360 degree loop, are also in place. Some additions including the 16:9 widescreen presentation that properly fills the screen in both regular and special stages help with the viewing area even without the camera panning in front of Sonic. The only real oddity I came across was the stage boss in Act 3; during the part where Eggman falls from the sky, the player can still damage the boss before he begins his attack movement. 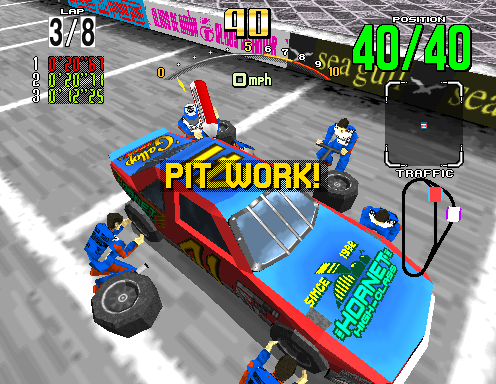 The special stages in this version take advantage of the modern hardware, well, as modern as a flat “Mode 7-like” plane with UFOs flying around can get. The 3D plane turns much more smoothly as the UFOs scale properly in the 3D space. Item UFOs are much easier to identify; Light blue represents ones with shoes, and the darker bluer ones represent rings. Of course, the time bonus UFOs are still the same light blue with red bars and will appear when 20 seconds are left on the clock. The smoothness of which Sonic runs around, (or if he gets bounced around,) makes it easier to tell Sonic’s trajectory as he travels. Despite the upgrade in presentation, control is still fully digital, (i.e. no analog,) when turning Sonic left and right. Another feature unique to this version is a filter effect for the graphics that blur the pixels for a more smoothed, anti-aliased look. Similar to Super 2xSai or Super Eagle filters that work on all the objects on screen. The filter works by applying them per object, however the effect seemed a bit blurry, and the smaller details of some sprites became a bit tough to make out. Ken did state that the feature was still being worked out as it was thrown in shortly before the PAX showing. For purists, players can easily turn the filter off and enjoy the original look of the game. In the demo the filter feature’s switch was mapped to the Left and Right Bumper buttons of the Xbox controller, which are likely to change into a menu function in the final build. 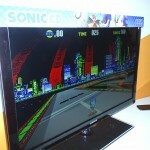 Despite the low volume of the TV, one could determine that the music was without a doubt the Japanese soundtrack. Unfortunately, Ken confirmed that the US soundtrack would sadly not be available in the final version. 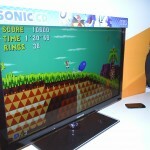 (Sidebar from me: You can use the Xbox 360’s built in music player to blare your rare Sonic Boom! Music CDs.) What Ken stated on the matter is that they are still working to see what would need to happen on the legal side of things to get the US soundtrack in the final game. While DLC is a possibility, he’d much rather try to include the music for free, whether they can get it in the final or added in through a patch. 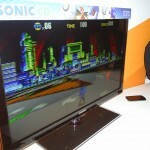 While the game was being shown on the 360, Ken did state that the game is coming out on a host of platforms including PS3, Android, iOS devices and on the PC through Steam. A WiiWare version is currently not planned. The game is on track for a release later this year, and already looks very promising. Alas, no disc based version of the game will go on sale. Finally, on a side note. 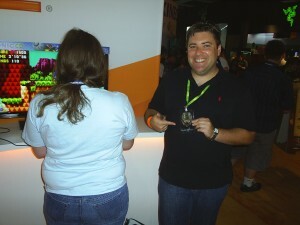 Those of you who are at PAX make sure to go check out the booth. 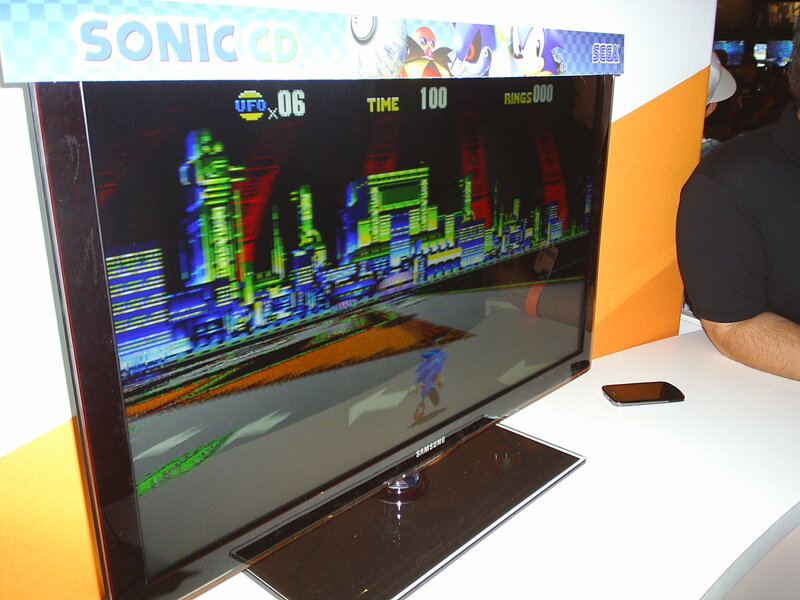 Last few times I checked over at Microsofts booth, Sonic CD was literally untouched. Go be a bro, check it out and say ‘hi’ to Ken. I bet he’s quite lonely! Although they don’t seem to be available yet on Sony’s US Playstation Network store, it appears that Sega’s cracked a little deal and there is now Sackboy costumes for some of your favorite and not-so-favorite Sonic characters! 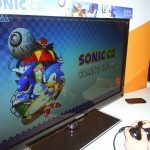 These include Sonic the Hedgehog, Tails, Knuckles, Werehog and Dr. Eggman Costumes. For the most part though, I’m simply curious how the licensing worked out on this one. 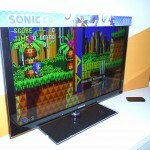 In any case, this is a nice win for Sonic fans on the PS3 that play Little Big Planet. At least if you’re in the right region for now. Click the link below (or the image) to see the store page for yourself!